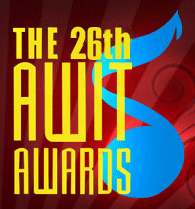 The 26th Awit Awards 2013 winners have been revealed during a "by-invitation only" presentation of winners held yesterday. Winners include Angeline Quinto, Gloc 9, Gary Valenciano, Aiza Seguerra, Daniel Padilla, Julie Anne San Jose and many more. The awarding of the 26th Awit Awards was supposed to be held last month, but due to the recent typhoon, it was postponed to December 11. Best Performance by a Female Recording Artist - "With A Smile" by Aiza Seguerra, Star Recording, Inc.
Best Performance by a Male Recording Artist - "Hanggang Sa Dulo Ng Walang Hanggan" by Gary Valenciano, Star Recording, Inc.
Best Performance by a Group Recording Artists - "12:51" by Krissy & Ericka under MCA Music, Inc.
Best Performance by a New Female Recording Artist - "That Time of Year" by Shiela Valderrama under Signature Music, Inc. Album of the Year - 'MKNM Mga Kwento Ng Makata' by Gloc 9, produced by Kathleen Dy Go and Jonathan Ong under Universal Records, Inc.
Best Selling Album of the Year - 'Hinahanap-Hanap Kita' by Daniel Padilla under Star Recording, Inc.
Song of the Year - "Sirena" composed and performed by Aristotle Pollisco aka Gloc 9 under Universal Records, Inc.
Best Ballad Recording - "Hanggang Sa Dulo Ng Walang Hanggan", produced by Roldeo Endrinal, composed by George Canseco, performed by Gary Valenciano under Star Recording, Inc.
Best Rock/Alternative Recording - "Better Days", produced by Eric Perlas, composed by Gabby Alipe & Franco Reyes, performed by Franco under MCA Music, Inc.
Best World Music Recording - "Pinoy Na Krismas", produced by Moy Ortiz, composed by Jose Mari Chan/Ogie Alcasid, performed by The Company under Signature Music, Inc.
Best Inspirational/Religious Recording - "Lipad Ng Pangarap", produced by Jonathan S. Manalo, composed by Arnel de Pano, performed by Angeline Quinto & Regine Velasquez under Star Recording, Inc.
Best Christmas Recording - "Christmas Moments", produced and composed by Jose Mari Chan, performed by Michael Philip Chan, Jose Antonio Chan, Jose Mari Chan, Liza Chan-Parpan & Franco Chan under Signature Music, Inc.
Best Rap Recording - "Bagsakan", produced by Chito Miranda, composed by Chito Miranda, Francis M & Gloc 9, performed by Parokya Ni Edgar featuring Gloc 9 & Frank Magalona under Universal Records, Inc.
Best Regional Recording - "Usahay", produced and performed by Noel Cabangon, composed by Gregorio Labja under Universal Records, Inc.
Best Song Written for Movie/TV/Stage Play - "Nag-iisang Bituin" from the ABS-CBN teleserye 'Princess and I', produced by Jonathan S. Manalo, composed by Raizo Chabeldin & Biv de Vera, performed by Angeline Quinto under Star Recording, Inc.
Best Engineered Recording -"Send In The Clowns" by Willy Villa at U.R. Recording Studio under Universal Records, Inc.
Best Album Package - "Moonstar 88 – This Year" (Graphic Designers: JP Cuison of Gigzilla & Robert Perez, Album Concept by: JP Cuison of Gigzilla & Robert Perez, Photography by: Carina Altomonte) under Ivory Music & Video, Inc. EGG's Allhits.ph's Most Downloaded Artist for 2012 - Where's the Sheep?